Synopsis: A computer hacker’s goal to discover the reason for human existence continually finds his work interrupted thanks to the Management; this time, they send a teenager and lusty love interest to distract him. Thoughts: Say what you will about the deeper meaning of many of Terry Gilliam’s films but it’s hard to deny that the director doesn’t have a style that’s instantly recognizable. 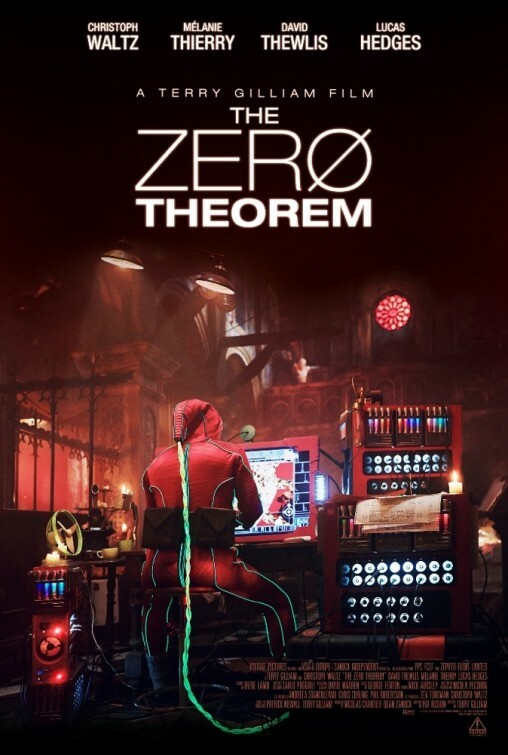 Even if I didn’t know that this first look at The Zero Theorem was the newest entry of Gilliam’s colorful oeuvre, I’d have come away thinking it very Brazil-esque. Starring two time Oscar winner Christoph Waltz (Django Unchained), The Zero Theorem’s trailer isn’t one I’ll be craving to watch over and over again without an Aleve handy but I’ll keep my peepers open for the finished product.